Scottish Borders Councillors have heard how the provision of affordable homes in the area surpassed targets set for the last financial year. During 2015/16, 220 affordable homes were delivered in the Borders, taking the four-year total to 467, exceeding Scottish Borders Council’s target. This was reported as part of an updated report on the Council’s Strategic Housing Investment Plan 2015-20. Among the developments delivered were 32 homes at Acredale, Eyemouth and 13 in Peebles. Significant additional funding from the Scottish Government to the Council for affordable homes delivery will help contribute to the delivery of further projects and land acquisition. Frances Renton, SBC’s executive member for social work and housing, said: “I am delighted that we have managed to exceed the target number of affordable homes delivered in 2015/16, and as a result over a four-year period. 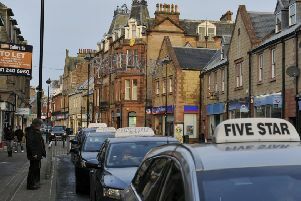 “This is very positive news for local people who want to live and work in the Scottish Borders but are not in a position to buy their own property or rent at market rates. Bridge Homes was established as the Limited Liability Partnership which owns the homes produced by the Council’s National Housing Trust initiative. Bridge Homes currently owns 10 homes at Castle View, Ayton, and Queen Elizabeth Drive, Galashiels. A further 13 homes were completed at Standalane Way, Peebles and were officially opened by Margaret Burgess, Minister for Housing and Welfare in January 2016. In April, a further eight homes were completed in Denholm, bringing the total to 31 homes for mid-market rent via Bridge Homes.